If you run an online or offline business and want to take payments, you will most likely need to set up a merchant account to allow you to receive payments via credit and debit cards. In addition, if you sell offline you’ll also need a card machine and if you sell online you’ll need a payment gateway. You can choose whether to get your merchant account, card machine and/or payment gateway separately or together. 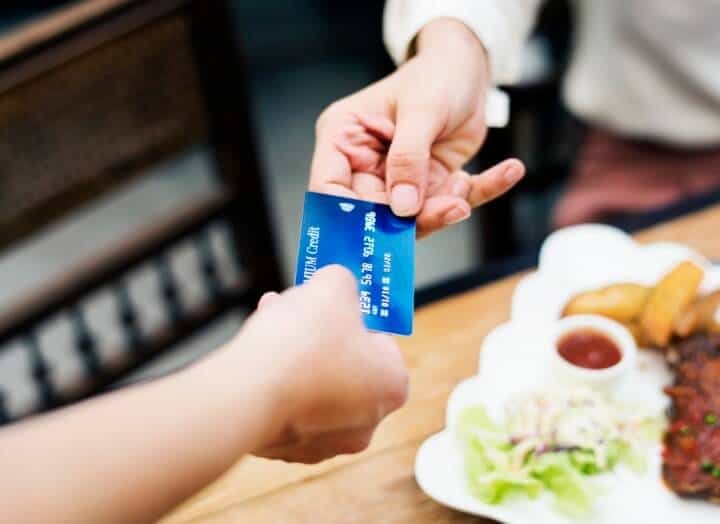 We’ve taken a look at many of the available merchant account and payment processing providers below to see what they can offer. The table below gives a quick price comparison of the top UK providers merchant account and payment processing. Note companies are ranked based on search popularity but this in no way indicates that one solution is better than another. Some of the features and benefits of WorldPay’s merchant account and payment processing. WorldPay is one of the leading payment processing companies across the globe who offer a broad range of offerings for businesses that want to accept payments through different payment routes. WorldPay customers can receive payments through physical card payments through all payment technologies, online transactions, and virtual payments over the phone, mail or email. They offer four payment plans the allow businesses the flexibility they need whether it is a simple plan, fixed monthly plan to give stability, customised plan to better suit your needs, or pay as you go plans for lower volume users. Some of the features and benefits of iZettle’s merchant account and payment processing. iZettle was founded in Sweden in 2010 and now offers payment processing for small businesses across Europe and Latin America. They provide non-traditional point of sale systems that use modern and portable systems that allow you to use mobiles and tablets combined with a card reader to take payments. If you want to take online payments, then you can use iZettle’s e-commerce platform to offer online transactions that can seamlessly work with their point of sale app so that you can manage your business and take orders 24/7 whilst being able to track all your sales and inventory in one place. Some of the features and benefits of Square’s merchant account and payment processing. Square is a payment services provider that offers a broad range of services which include point of sale systems and equipment, online and virtual payments, cash app to send money instantly, send invoices, and paying employees. Square’s payment processing service allows their customers to receive payments online securely and accept virtual payments over the phone, via email or mail. They offer card payment terminals which work with their point of sale app that is available for mobiles and tablets and they provide iPad POS stand. Through their systems, you can manage payments, digital receipts, inventory and run reports. Some of the features and benefits of PayPal’s merchant account and payment processing. PayPal offers more than just simple online transactions to businesses as they provide a complete payment service which enables businesses to accept payments online and in person. PayPal enables their customers to accept PayPal and card payments on their website through either built-in checkout or online forms. PayPal offers both card and contactless payments as well as Apple Pay and Android Pay for point of sale purchases through their card terminals. Money taken through the card terminal will be paid into your accounts almost instantly. The PayPal app and terminal are protected by PayPal’s security that is world class. Some of the features and benefits of Shopify’s merchant account and payment processing. Shopify has been built to help smaller businesses to make transactions with its customers regardless of their location and payment choice. Businesses can utilise Shopify to allow them to set up an online shop or they can use their payment processing services independently. It also enables businesses to set up automated communications with their customers about their orders. Shopify offers the ability to take online payments and payments in person through their card readers. They specialise in being able to assist their customers in creating sales opportunities across all platforms by providing support for Facebook and Messenger sales as well as buy buttons that can be added anywhere. Some of the features and benefits of Barclaycard’s merchant account and payment processing. Barclaycard is a well-known division of Barclays bank that offers payment processing solutions to businesses of all sizes and types. Their service gives established business support and secure service that offers peace of mind with their proactive fraud monitoring from a trusted provider. Barclaycard uses a wide range of card readers to give their customers a choice of reader that suits their business needs which also includes portable and mobile card readers. They support all payment routes including online, in-store, over the phone and in the mail through their virtual terminals. They offer merchant services and payment gateway solutions. Some of the features and benefits of Stripe’s merchant account and payment processing. Stripe is a payment software provider who supports businesses of all sizes from new start-ups to large businesses. Their software enables businesses to not only accept payments online but also manage their business online. Stripe’s payment platform combines useful apps that help businesses to increase their revenue which includes managing income and preventing fraud. They use a powerful engine that makes transactions easier and their cloud-based infrastructure delivers reliability and security. They offer both internet payment services and point of sale card terminals for card transactions. They specialise in supporting businesses to grow and develop online by providing a wide range of payment routes. Some of the features and benefits of Klarna’s merchant account and payment processing. Klarna is a Swedish bank and payment solutions provider that was founded in 2005 with the aim to make online shopping easier for both merchants and customers. Klarna’s online payment processing offers businesses a different type of payment service as they offer a variety of payment options which include spreading payments. They offer three payment solutions which include Pay Later where customers can pay up to 30 days later. They also offer two instalment products which are Slice it and Slice it in 3 which allow monthly instalments. Slice it offers a credit check and quick consumer finance. Slice it in 3 offers scheduled payments with no interest or consumer fees. Some of the features and benefits of Sage Pay’s merchant account and payment processing. Sage Pay is a well-established payment processing provider that was established in 2001 in the UK to help small to medium-sized businesses to access online payment services. They are also part of the Sage Group who provide other financial and accounting service products. Sage Page offers a wide range of payment solutions which include face-to-face payments using portable and mobile card terminals which accept contactless, chip and pin, and mobile payments. They offer online payment processing and virtual payments taken through mail order and over the phone. Their invoice capability also allows customers to pay invoices online and over the phone. Some of the features and benefits of PayPoint’s merchant account and payment processing. PayPoint maybe a familiar name that you recognise as you may have seen the name at convenience stores where they accept utility payments or return parcels, but PayPoint has a lot more to offer all types of businesses than just this. PayPoint offers a wide range of payment processing solutions that enable businesses to combine all their payment channels into one simple payment portal, a single contract and reduce your overheads. MultiPay is PayPoint’s multi-channel payment solution which enables businesses to receive payments through a variety of channels including online, virtual payments over the phone, integration with your app, text message payment, direct debit payments. Some of the features and benefits of Spire’s merchant account and payment processing. Spire is a payment processing company that is a global business that was established in the UK but has offices throughout the world. They offer digital payment solutions to businesses to assist in-store, online, mobile and social media purchases. Spire has deployed software that utilises their expertise to create a highly secure solution that is future proofed. They have created an environment that gives the customer a great experience. They provide services that include physical equipment, online applications, asset management and development tools. They also provide a help desk, logistics, repair and refurbishment, project management and technical support. Some of the features and benefits of Payzone’s merchant account and payment processing. Payzone has been supporting businesses in the UK for 25 years to accept and receive digital payments. Payzone’s services and products allow businesses to take card payments in-store using their card terminals, take payments on the go with portable and mobile card terminals, use their payment gateway to take payments online, or through the virtual terminal for phone payments. Payzone offers full merchant services to support businesses in their payment processing by providing a merchant account that can help your business prevent fraud and make your card payment processing safe and secure. The account holds the payments whilst the customer’s card details are checked for available funds. Some of the features and benefits of Adyen’s merchant account and payment processing. Adyen is a large global payment processing provider that delivers its services for many large global brands including eBay, Microsoft, Uber and Booking.com. They were established in 2006 to recreate the digital payment process and create an infrastructure fit for the future. Adyen offers a full range of payment processing services that allow businesses to unify their payment processing to help them manage their business more effectively. They provide an integrated web-based system that enables businesses to track and report on their in-store, online and eBay Marketplace transactions. Their card terminals run on the latest technology and have back up in place through 4G and offline processing. Some of the features and benefits of First Data’s merchant account and payment processing. First Data offers card processing and payment solutions that are suitable for small businesses, multinationals and financial institutions. They offer services from basic card terminals through to wider business management support. First Data offers a product called Clover which they promote as the next generation of electronic point of sale systems. It allows you to manage your payments both in-store and online, track payments and inventory, employee management, and access your data from anywhere through their cloud-based software. It can also assist you in setting up loyalty or reward programmes that can combine in-store and online purchases. You can also analyse your data to gain insights into your business and your customers. Some of the features and benefits of Paymentsense’s merchant account and payment processing. Paymentsense is one of Europe’s largest merchant service provider and they deliver their services to over 60,000 small businesses from their offices in London, Hull and Belfast. Established in 2010, their mission is to support small businesses by assisting them to meet the need of accepting card payments. They utilise the combined buying power of all their customers to negotiate better rates for everyone. Paymentsense offer solutions that allow businesses to accept card payments in-store, on the go with portable and mobile card readers, online and over the phone through virtual terminals. They have made their services accessible through their online dashboard which allows businesses to track and manage their transactions. Some of the features and benefits of Evalon’s merchant account and payment processing. Evalon is an Irish based business that offers payment services to businesses in the UK and they specialise in supporting small businesses. They offer a flexible service that allows businesses to grow with them and adapt their payment services when needed. Evalon accepts most payment types and has created a flexible payment solution that allows payments in person in stores or out and about through their card terminals that can be portable and that combined with mobiles or tablets, online through their payment gateway software, and over the phone using their virtual payments system. They also offer reporting and management tools to increase the understanding of your business. Some of the features and benefits of Global Payments’ merchant account and payment processing. Global Payments is a Dublin based software driven payment processing provider who offers their services to retail, insurance, gaming and education sectors. Global Payments offer the facility to accept a huge range of payment methods which can be taken online through their payment platform and through their virtual terminal for over the phone payments. Global Payments focus their proposition on their global reach as they offer a solution which accepts 140+ global payments, adaptable in 30 languages and accepts 143 currencies. They aim to assist businesses to grow their revenue by expanding their reach to other countries which are enabled through their global payment platform. Some of the features and benefits of Ingenico’s merchant account and payment processing. Ingenico is a global player and leader in seamless payments which offer end-to-end payment solutions to allow businesses to receive payments across multiple channels through one software solutions. They offer payment processing solutions through in-store systems, online software platform and mobile payments. Ingenico has been trading for over 35 years and is the provider of services to all major acquiring banks and around 70% of the world’s leading retailers. Their systems incorporate a wide range of facilities and promotional options such as reporting, customer data and marketing campaign analysis, loyalty cards and programmes, prepaid and gift card management. Some of the features and benefits of Secure Trading’s merchant account and payment processing. Secure Trading has been operating for over 20 years and operates around the global. They offer a payment processing service through their gateway solution that allows businesses to trade outside their own country in multiple currencies. They have designed their products and services to help businesses excel online. Secure Trading offers a wide range of payment processing support and tools that include online purchases that are conducted through their payment gateway, over the phone payment through their virtual terminal, and in-store using their point of sale. They offer UK-based account management and support and have teams of experts to help businesses to maximise their reach. Some of the features and benefits of Verifone’s merchant account and payment processing. Verifone is a well-established global business who provide payment processing in over 150 countries and process over 7.6 billion transactions each year which account for 50% of the world’s non-cash transactions. They are one of the largest point of sale card terminal businesses and were one of the first in the market. Verifone offers a wide range of payment processing services which allow you to have a seamless payment solution from one provider who supports online payments, point of sale card terminals and support, as well as in-app purchases. Verifone prides itself on its security and customer friendliness with the incorporation of customer-facing apps. Some of the features and benefits of Digital River’s merchant account and payment processing. Digital River has almost 25 years’ experience in the industry and operates across four continents. They operate through an advanced commerce cloud and they offer flexible integrations, tailored solutions that enable businesses to manage their payment solution seamlessly. Digital River offers a global service that helps businesses to expand into new geographical locations and they provide support for innovation that can assist you in reaching your customers through new channels or methods. Digital River only provides e-commerce solutions that support online and in-app payments. They protect their service by reducing risk and implementing anti-fraud safeguards. Some of the features and benefits of Retail Merchant Services’ merchant account and payment processing. Retail Merchant Services was established in 2007 to create an affordable card payment processing service for small businesses in the UK and Ireland. They specialised in supporting smaller businesses as they wanted to create a fairer offer for small businesses and to give them the service they deserved. Retail Merchant Services offers a complete payment solution that allows businesses to accept payments through in-store card terminals, online through their payment gateway and over the phone through their virtual terminal. Retail Merchant Services deliver a service that is award-winning, secure and has an excellent rating on Trustpilot. Some of the features and benefits of CCBill’s merchant account and payment processing. 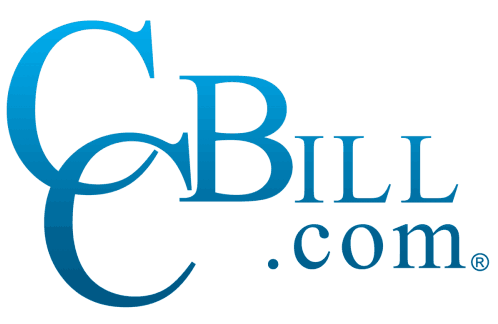 CCBill was founded in 1998 and is a global business with offices in Europe and the US. They have created a payment processing business that specialises in subscription service support and automated billing. Their online payment platform has been founded on a robust infrastructure which conducts secure localised payments. CCBill offers a range of price plans to cater for different business types and business locations that have no setup fees or monthly fees. They provide international services that allow payment in a wide range of currencies, payment methods and they offer pages in a variety of languages. Some of the features and benefits of Handepay’s merchant account and payment processing. Handepay is a Merseyside based payment processing provider who has set themselves up as a low-cost alternative that makes card payments simple with their no hidden fee structure. They claim that their customers can save 36% by switching to them and they offer to pay most switching fees through their Handepay pledge. Handepay offers fast and secure transactions for payments that are conducted online through their payment gateway, virtually over the phone and in the mail, and also in-store using their card machines. They offer a range of card machines that take a variety of payment types and you can choose between countertop, portable and mobile systems. Some of the features and benefits of nochex’s merchant account and payment processing. Nochex has set themselves up as an alternative to PayPal in the UK and believe that they are the number 1 alternative. They state that their service is different to most traditional payment service providers as they do not require you to have a traditional merchant account but offer customers their alternative account that is simple to set up and use. Nochex is a UK based payment processing company that operates online using their payment gateway, telephone payments through their virtual terminal, recurring or subscription services, and invoicing services. They offer a customisable solution and cater for a wide variety of business across the UK. Some of the features and benefits of CyberSource’s merchant account and payment processing. CyberSource is a payment gateway provider and a payment management company who were established in 1994 and they cater for businesses of all sizes. They provide two software solutions to their customer which are called CyberSource and Authorize.Net which provides a wide range of services that includes processing online payments, fraud management and payment solution. CyberSource is a global business that utilises over 100 acquirers and processors which allows them to handle payments in 190 countries in many different currencies. They offer payment processing across all channels including in-store card machine, over the phone payments using virtual terminals, online and mobile payments. Some of the features and benefits of Paysafe’s merchant account and payment processing. Paysafe is a payment processing business that provides both software and marketplace platforms that offer an integrated service which gives customers a smoother payment solution rather than piecing together a complete solution. Paysafe offers both online and offline solutions for payment processing which enables businesses to integrate their payment solution across the channels. Their in-store card payment solutions enable customers to accept all major cards through their new technologies deployed in their point of sale systems. Their online solutions cater for all businesses but they have specialist solutions for the iGaming and travel sectors to assist them in developing and growing their business. Some of the features and benefits of Worldline’s merchant account and payment processing. Worldline is not just a payment processing provider but a much broader financial services business that offer services which include ATM machines, e-wallets, mobile and digital banking, digital ticketing, as well as connectivity products that allow you to control environments remotely. Worldline’s payment processing services allow businesses to manage their transactions with one provider who offers a secure and fast payment solution in-store using their card terminals or online. They offer personalised customer experiences in-store to help businesses differentiate themselves and accept a wide range of payments including mobile payments. They offer online solutions which allow businesses to tailor their solution, maximise their digital potential and gain insight from their transactions. Some of the features and benefits of WePay’s merchant account and payment processing. WePay is an integrated payment solution provider that offers seamless processing to create a fast and secure method of receiving digital payments from customers. WePay offers a customisable solution that allows businesses to decide how much control and personalisation they want in their payment exchanges. They also offer a fast set up service to get businesses mobilised quickly. WePay offers both online and offline payment solutions through an integrated platform which allows businesses to gain insight into their transactions and customers. They offer a wide range of in-store card payment solutions which include smartphone and tablet solutions. They also offer online solutions which allow multiple payment methods. Some of the features and benefits of NMI’s merchant account and payment processing. NMI has been a player in the payment processing market since 2003 where they originally supported the payments made through chip and pin technology but have subsequently grown to support a wider set of payments. NMI offers businesses an integrated payment solution that enables businesses to create a single identity across all of their payment methods that presents a unified experience for the customer whether they pay online, in-store, by mobile or through self-service points. They have developed software that can be integrated into any platform and a reporting functionality that allows businesses to analyse their customer data. Some of the features and benefits of ecoPayz’s merchant account and payment processing. ecoPayz is a global payment solution provider founded in 2000 that offers services to both individuals and businesses as a means to make payments across the globe. They offer end to end solutions for businesses which include merchant accounts and card-based payment solutions. ecoPayz is owned by PSI-Pay Ltd.
ecoPayz offers businesses the ability to take their business global through providing services that enable them to accept payments in over 45 currencies from anywhere in the world with the peace of mind that the transactions are safe and secure. Their solution is online or mobile based only as they do not offer in-store systems or virtual terminals. Some of the features and benefits of Checkout.com’s merchant account and payment processing. Checkout.com offers an integrated payment solution that gives businesses the opportunity to combine their payment gateway, international acquiring and payment processing in one solution. They operate across most of the global. They offer a broad range of payment methods that include traditional credit and debit cards, digital wallets which include pass-through and stored-value wallets, as well as some alternative payment methods. Checkout.com offers online payment processing but they do not offer in-store payment solutions or virtual terminals. Their solution integrates with all major shopping carts. Checkout.com claim that their service is highly competitive and that they pass through the card rates to their customers, they also charge no setup or maintenance fees. Some of the features and benefits of 2Checkout’s merchant account and payment processing. 2Checkout is a global e-commerce and payment processing provider that has a pre-integrated payments gateway and merchant account that offers fraud prevention and PCI compliance. 2Checkout has been operating since 2000 in over 180 countries and 15 languages accepting 87 currencies. 2Checkout is a payment processing provider who offers both online and mobile payments through their advanced security protection. They offer a customisable checkout to maximise the customer experience and to retain your marketing identity. Their solution integrates with over 100 online carts to help increase your business reach. To assist businesses in complying with regulations they have incorporated compliance mechanisms and tax management facilities. Some of the features and benefits of i-Payments’ merchant account and payment processing. i-Payments are a London based payment processing provider that is part of Liri Holdings Group who are a Hong Kong financial services and technology provider. They offer a global payments service for online businesses and they provide multilingual support. i-Payments payment solutions offer online payment solutions that accept payments from Union Pay, American Express, Visa and Mastercard in multiple currencies. They specialise in supporting e-commerce, travel, gaming, e-wallet and financial services, FOREX and Binary Option industries. They offer a dedicated support service and real-time fraud screening to support their customers. Some of the features and benefits of EVO Payment’s merchant account and payment processing. EVO Payments is a well-established payment processing provider who was founded in 1989 and has created partnerships with many key players in the financial market including banks. They are a global payment processing business that provides services in 50 global markets and in 150 currencies. EVO Payments services include in-store payment systems, online payments through their payment gateway, and mobile payments. They support a wide range of industries across the globe and offer dedicated customer support. They claim that their services are competitively priced and that they are amongst the largest integrated merchant acquirers and payment processors. Some of the features and benefits of Braintree’s merchant account and payment processing. Braintree is an established global payment platform which has over 20 years’ experience and is part of PayPal service and backed by one of the largest and trusted fintech brands. They offer payment technology that is a scalable solution that is delivered with dedicated customer support. They are a global player with merchants in over 40 countries and accept over 130 currencies. Braintree helps businesses to connect with more customers through offering the broadest range of payment methods which include credit and debit cards, PayPal, Venmo (in the US), and e-wallets such as Apple Pay and Google Pay. Some of the features and benefits of Card Cutters’ merchant account and payment processing. Card Cutters is a UK based business with offices in England and Ireland that was founded in 2009. They currently work with over 7,000 merchants providing them with a range of services and products. Their solutions cater for small independent businesses through to larger multiple outlet businesses. Card Cutters offers a wide range of card machines and countertop systems to rent that enable their businesses to accept card payments. They have partnered with Global Payments to deliver payment processing online and to accept over the phone payments through virtual terminals. These systems offer the advantage of helping businesses to track and monitor their business and their customers. Some of the features and benefits of BlueSnap’s merchant account and payment processing. BlueSnap is a global payment processing business that offers customers an integrated solution which combines both the payment gateway and merchant account. They provide a platform that can handle 100 shopper currencies and pays out in 13 currencies. They accept over 100 global payment types and they connect to up to 30 global banks. BlueSnap offers online payments, mobile payments, virtual terminals for mail and phone payments, subscription management, online marketplaces, accepts eWallet payments, and collecting invoice payments. Their platform offers intelligent payment routing to get the best conversions, reporting facilities, management dashboard, chargeback management, as well as fraud prevention and risk management solutions. Some of the features and benefits of Cardstream’s merchant account and payment processing. Cardstream is white label payment gateway provider who offers their services as the background service behind many other providers who brand the service as their own. They offer a single integration point that enables providers to connect to a wide range of acquirers, payment methods including alternative types, and e-commerce connectors. Cardstream’s solution is not a mainstream solution for retailers but for resellers such as banks, PSPs, ISOs and software companies. Their services include a management system, payment forms, modules and billing which can be rebranded. Their cloud-based payment platform enables customers to pay online, through mobiles and over the phone through virtual terminals. * Please note we have affiliate relationships with Worldpay, iZettle, Square, and Shopify. This means they pay us a commission if you sign-up with them via our site. However, this comes at no cost to you and helps keep our site free.